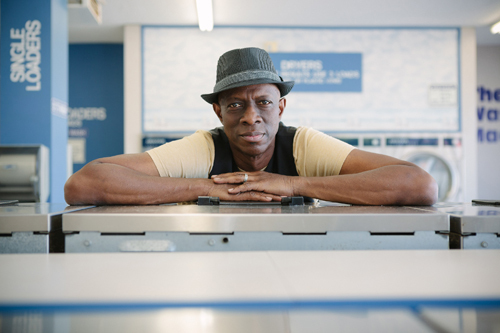 Keb’ Mo’ and the blues are a match made in heaven. “I never set out to be a ‘blues guy,’ but the blues is very powerful and fuels what I do,” he says. “The blues puts the ‘realness’ in it for me.” That realness comes through in every song he performs, his voice gentle and strong, his guitar playing full of ease and eloquence. He’s a three-time Grammy winner for Best Contemporary Blues Album, and he’s coming to the Freight for a show, the man and his music. Keb’ grew up in Los Angeles, where he was working to establish himself as a studio musician under his given name, Kevin Moore, when he joined a blues combo with Charles “Charlie Tuna” Dennis, who opened him up to the wide world of blues, with roots in Texas, the Mississippi Delta, Chicago, and beyond. “I started opening my mind and learning how deep the blues was,” Keb’ says. His first solo album, released in 1994, went gold, and his next two won Grammy awards. His 12th and latest studio album, BLUESAmericana, featuring collaborations with India.Arie, Vince Gill, Dave Koz, and Marcus Miller, earned a Grammy nomination for Best Americana Album of 2014. An array of outstanding artists have recorded his originals, including B.B. King, Buddy Guy, the Dixie Chicks, Joe Cocker, Robert Palmer, and Tom Jones. Martin Scorcese featured him in his miniseries, The Blues, and he played Robert Johnson in the documentary Can’t You Hear the Wind Howl, as well as appearing on television in Touched by an Angel and in a John Sayles movie, Honeydripper. “My job is to look for something that’s truthful,” he says. “Lies are the hardest things in the world to remember, but the truth digs right inside me and it reaches other people, too. If a song is truthful, I have a piece of that song inside of me so I can always deliver it from my heart.” From his heart to yours.